If you say Mount Fuji and Tokyo Ginza represent Japan’s natural and modern attractions respectively, the Kiyomizu-dera represents Japan’s history and ranks third in Japan’s most worthwhile places. 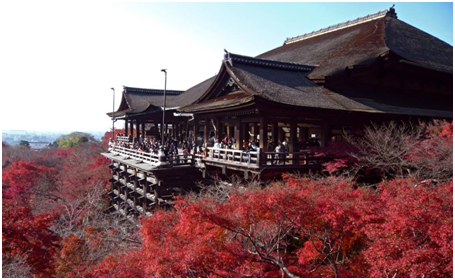 Kiyomizu-dera Temple is located on the mountainside of Tonoyama Mountain in the eastern part of Kyoto. It was built in 778 and is the oldest temple in Kyoto. It covers an area of 130,000 square meters and was burned and rebuilt several times. It was listed in the World Cultural Heritage List in 1994. . Kiyomizu-dera Temple is named after the clear water in the temple. The clear water is divided into three parts, representing longevity, health, and wisdom. It is considered to have magical power. Visitors will surely come to drink a sip of water through this place, which is said to prevent diseases and disasters. 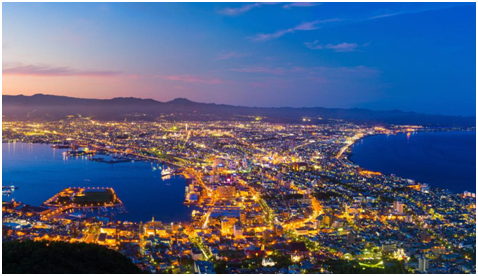 Mount Hakodate in Hakodate City, Victoria Bay in Hong Kong and Naples in Italy are called the world’s three night scenes. Hakodate is the only mountain in Hakodate, 339 meters above sea level. Standing on the top of the mountain, the entire Hakodate city has a clear view. At night, the street lights on the streets of Hakodate are contrasted with the dark sea, and the fishing boats will also ignite the oil lamps, which will be woven into a beautiful night scene. In addition to the viewing platform, there are cafes and restaurants on the top of the mountain, where you can enjoy coffee and food while enjoying the night view.